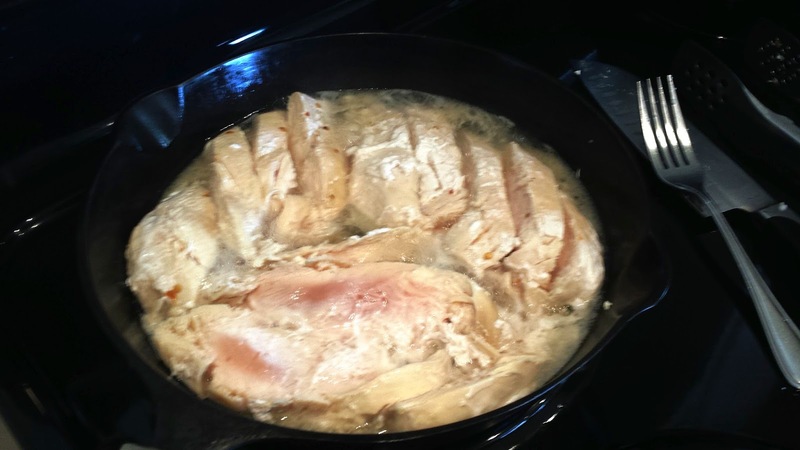 Last week we showed you how to make a low-carb taco using cauliflower for the shell and this week it's time to make the chicken which you'll put into your taco! Before you turn your stove on, drizzle some oil in your pan. 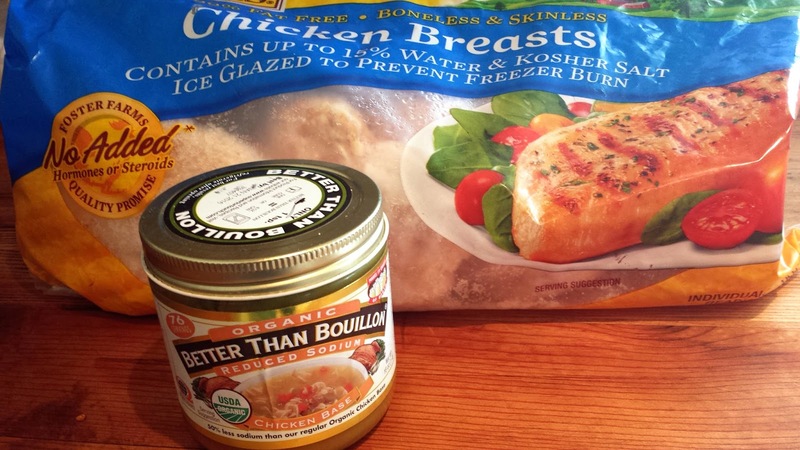 Lay your frozen chicken breast in the pan. 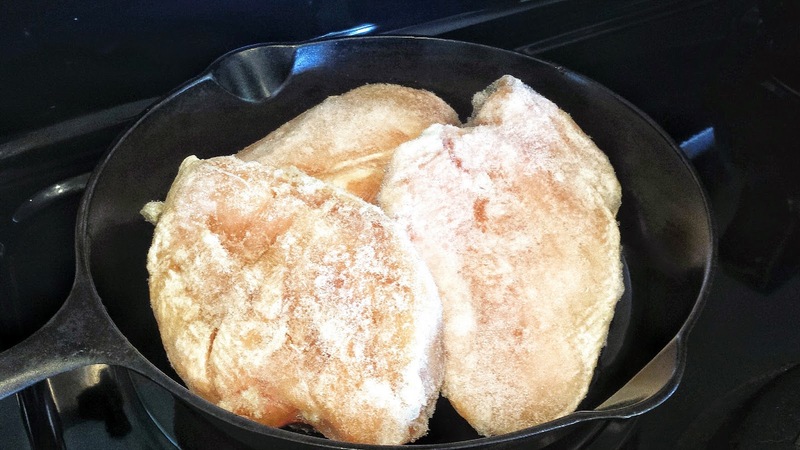 Turn your stove on between Medium to High and put the lid on your pan. When you start to hear the water bubbling (5 minutes or less) turn the heat down between Medium to Low and let cook for 10 minutes. Lift the lid and turn each breast over. Put the lid back on and cook 10 more minutes. Remove the lid. They should all be thawed and the pan half full of liquid. 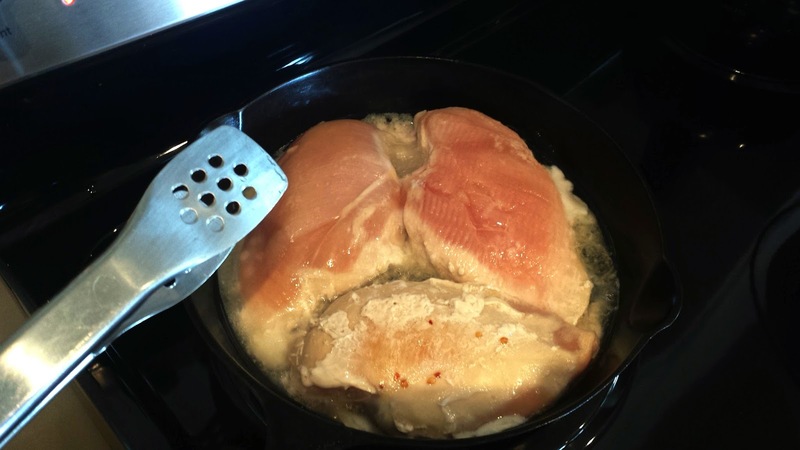 To help speed up the cooking time, slice each breast into several pieces. 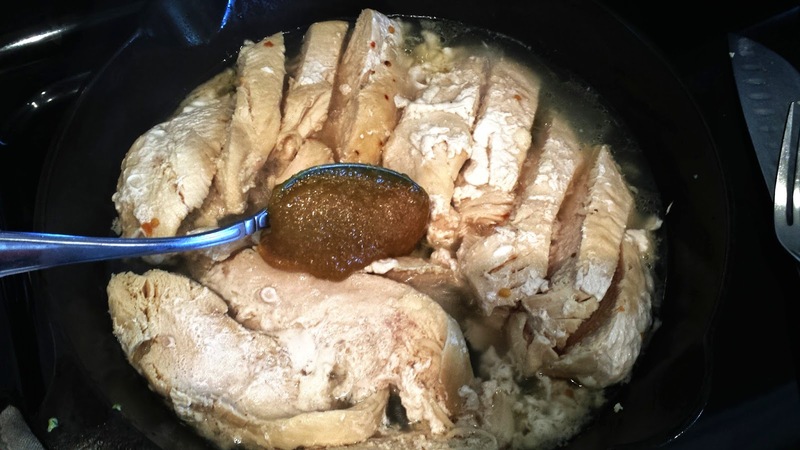 At this time, add your Tablespoon of Chicken Base and mix it into the liquid and all around the chicken pieces. Place your lid back on for another 10 minutes. Take two forks and pull/shred each chicken piece until you have all of them shredded. By the time you're done, most of the liquid should be gone. 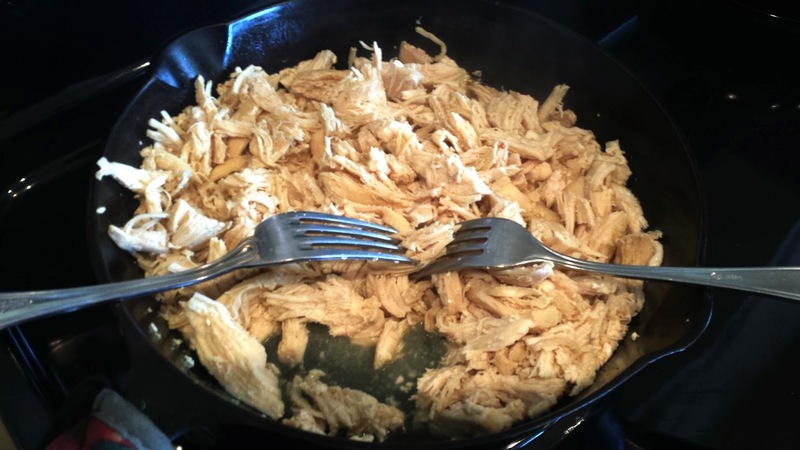 You now have a pan full of juicy shredded chicken ready to put on your tacos. 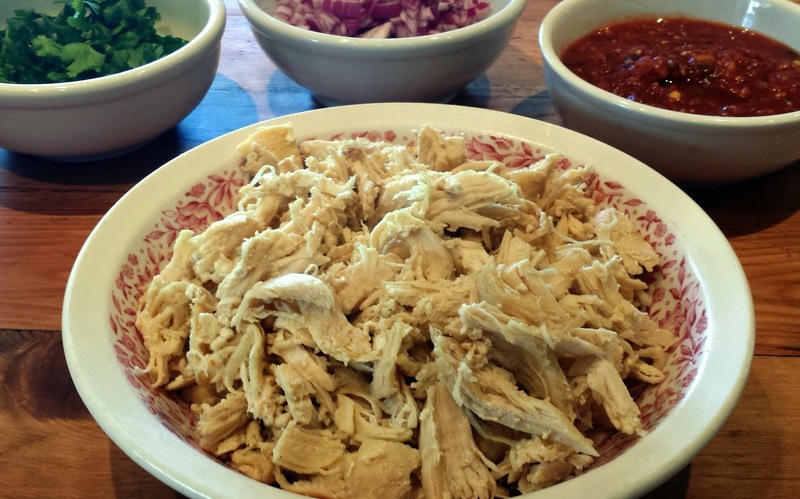 Since we have spicy homemade salsa and guacamole, red onions and cilantro we chose not to spice up our chicken seeing as we want to be able to enjoy all the flavors of our toppings as well.